Written by Jin Won Choi on April 28, 2014 in Investment Philosophy. Last update on April 28, 2014. Airplane mechanics follow a process so as to not miss some vital detail. In picking stocks, it helps to have a process too, to minimize the chance of missing some important detail. Written by Jin Won Choi on Aug. 28, 2013 in Investment Philosophy. Last update on Jan. 26, 2015. 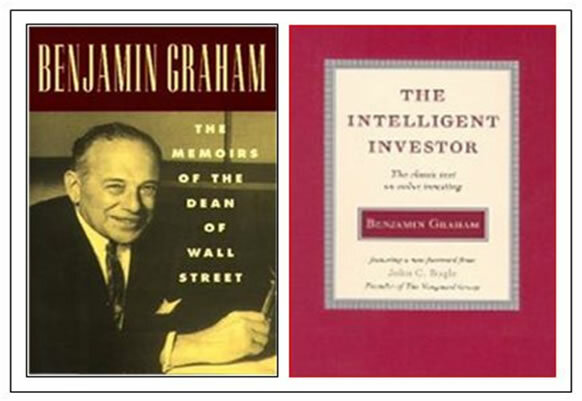 Benjamin Graham: Graham is considered the father of Value Investing. The book 'The Intelligent Investor' remains a classic today. Recently, I've created two series of blog posts arguing against the two most popular investment philosophies of today. In the first series, I argued against the efficient market hypothesis - i.e. the idea that the markets are completely rational, and therefore it's impossible to outsmart them. In the second series, I argued against dividend investing - i.e. the idea that higher yielding dividend stocks give you superior returns relative to their risk.